Let’s face it. Lemons could be replete with all the great stuff you can think of. And they might prevent most ailments one can imagine. But there also are some serious side effects of lemons. Hard to believe? Well, just read on. Research suggests that drinking lemon juice (lemon and water) may cause teeth erosion (1). Yes, lemon water might have benefits. But when it comes to your pearly whites, too much of it may not really be worth the effort. Be sure to brush teeth immediately after consuming lemon water. According to another study published by the National Institute of Dental and Craniofacial Research – too much of lemon juice in the diet can harm your teeth. Lemons are highly acidic. 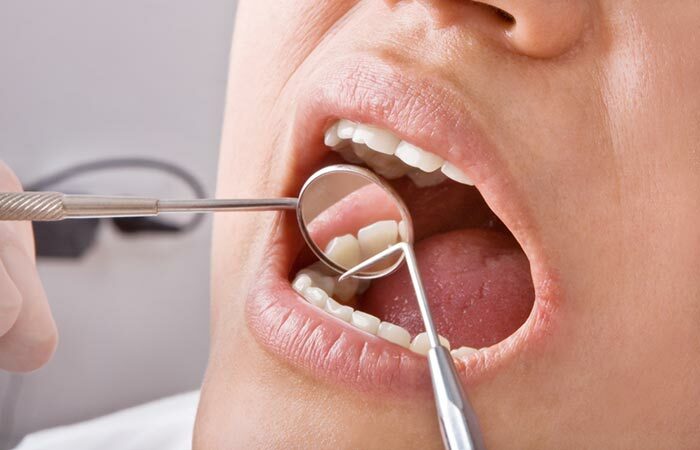 Taking them in excess can corrode your tooth enamel (2). Another Brazilian study proved the same. In fact, lemon juice displayed corrosive effects on the teeth similar to that of soft drinks (3). All of them are equally acidic. But hey, if you have the habit of consuming lemon water every morning, you don’t have to relinquish it. Just ensure you brush and floss more regularly – probably twice a day (4). These are shallow sores inside the mouth (or the base of the gums), and they are painful. Add lemons, and you are headed for disaster. The citric acid in lemons can worsen your sores and even cause more. Hence, ensure you don’t take lemons (or any citrus fruit for that matter) if you have canker sores. Wait for them to heal completely. According to research, one way lemons can trigger or even aggravate heartburn is by activating pepsin, an enzyme in the stomach that breaks down proteins. Reflux of the digestive juices in the stomach can activate the inactive pepsin molecules in the esophagus and throat – leading to heartburn. Further research states that lemon can both hurt and help heartburn symptoms. However, the conclusions are mixed. But on a major scale, lemon juice is known to trigger heartburn symptoms. It can decrease the effectiveness of the lower esophageal sphincter muscle and instead allow the stomach acid to splash up the esophagus (5). Lemon juice can also worsen peptic ulcers. We know how ulcers are formed – by excessively acidic digestive juices. Taking lemon juice (and other acidic foods) can only make things worse. And though there is less information, certain experts speculate that lemon juice can also trigger GERD symptoms. Hence, avoid lemons if these symptoms are triggered, as the response varies. Given that lemon juice is chock-full of vitamin C, it is important to note that too much of the nutrient can cause nausea, and in some cases, even vomiting. 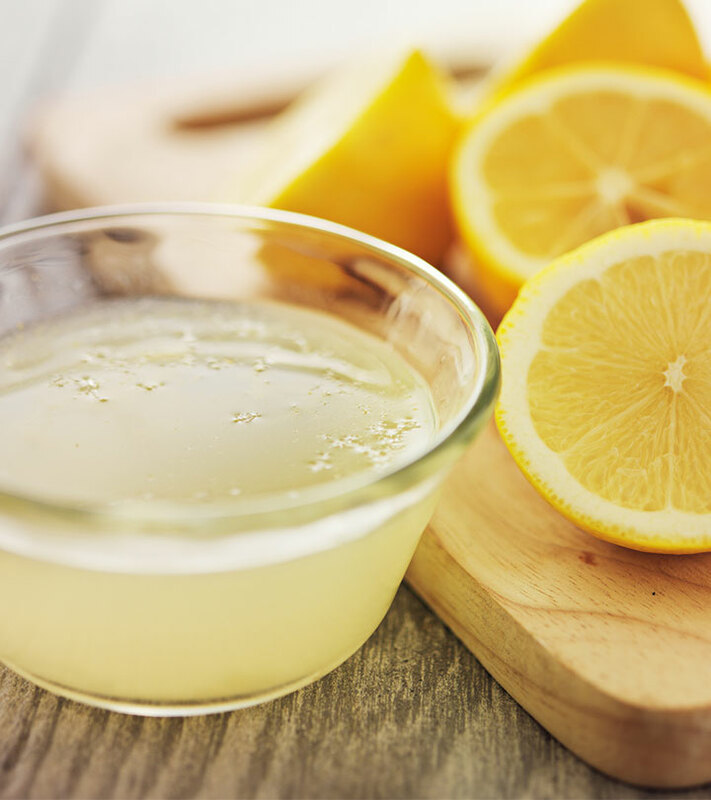 Excess of lemon juice (more than 2 lemons or 3 cups of diluted lemon juice) can lead to an overdose of vitamin C. Though this doesn’t pose any serious threat, your body, however, will try to flush out the excess vitamin C – causing vomiting. Lemon juice, especially in a glass of warm water, can act as a diuretic. It can increase urine output, and if this goes overboard, you might even end up feeling dehydrated. This is because the juice from lemon rids your body of the excess water. In the process, it can also flush out excess amounts of electrolytes and sodium through urine – and at times, it can flush out too much of them and cause dehydration. Acidic fruits like lemons can also irritate the bladder. This increases the urge to urinate more often (6). Avoid lemon water and other acidic fruits for about a week and see if your symptoms improve. If not, consult your doctor. We know that vitamin C encourages iron absorption in the body. And too much of it can lead to an increase in the blood levels of iron. Too much of iron in the body can be dangerous. Excess iron in the blood can also damage the internal organs. Though there is less research, certain experts believe that citrus can trigger migraines. In fact, one particular migraine diet designed by the Delaware Biotechnology Institute recommends avoiding lemon juice (7). Certain studies indicate that heading out into the sun with lemon juice on your skin can cause blisters and dark spots. 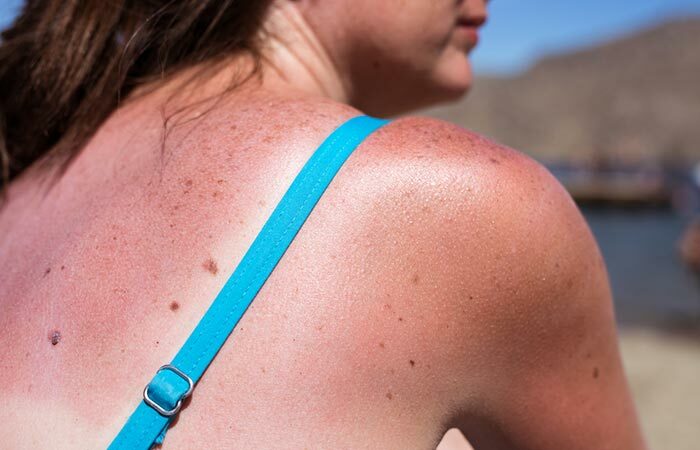 Also called phytophotodermatitis, it’s a worse form of sunburn. The culprits are the chemicals in lemon juice, called psoralens, which interact with sunlight and cause the burn (8). Another report from Brown University states that individuals who consumed lemon juice and other citrus juices in excess might have a slightly higher risk of developing malignant melanoma, or a form of skin cancer (9). We saw the side effects. But do lemons (or lemon juice) interact with any medications? Do Lemons Have Any Interactions With Medications? Though lemons don’t severely interact with any medications, certain studies shed light on their interactions with calcium antagonists (medications that disrupt the movement of calcium through calcium channels, which are used for treating hypertension) (10). Another Japanese study recommends that patients avoid the intake of citrus juice while on medications as the juice might interact with them, causing potential hazards (11). There is insufficient information on the interactions lemons might have with herbs. What Is The Recommended Dosage Of Lemons/Lemon Juice? Consuming 120 ml of lemon juice (containing 5.9 grams of citric acid) a day is considered safe. Ensure you dilute the juice before doing so. The dosage is the same for pregnant and lactating women as well. Don’t go beyond the prescribed dosage as the subsequent effects are unknown (12). It all boils down to the quantity. Consume lemons in the right quantities, and you will be blessed. Otherwise, not so much.